Psychiatrist, says about his experience with tapping. "EFT is the single most effective tool I've learned in 40 years of being a therapist. EFT is a simple, powerful process that can profoundly influence gene activity, health and behavior." 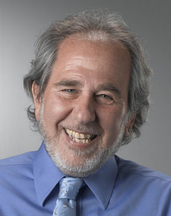 Bruce H. Lipton, PhD. Author of "The Biology of Belief"
"I try to use tapping as often as I can in the clinical setting. The fact that it can be used so quickly is a big plus because I don't have a lot of time to waste." Eric B. Robins, MD co-author "Your Hands Can Heal You"
After careful research, I sought the best EFT training and teachers, and traveled to California to learn from EFT Master Lindsay Kenny. As one of only 28 EFT Masters in the world, I was deeply impressed with Lindsay’s innovative use of EFT, which she has developed into ProEFT. She offers structured, simplified processes; essentially a blueprint to work with a variety of issues, simple to complex, to yield the most positive results efficiently. It's an interesting feeling for me to really feel that I am great, and I AM feeling that! Thank you!! I feel different in that I am not trying to receive approval and compliments from others. I was out and about and was feeling so confident. I got into a nice conversation with someone and was just enjoying it instead of feeling nervous about what they were thinking about me like I used to. Thank you so very much for helping me (especially when you got up and tapped for me while all my emotions were coming out), caring so much about me. As I said you are REALLY great at what you do, very instinctive. To do what you do effectively you have to care deeply and it shows. So, thank you, thank you, thank you! This morning as I was driving I saw an ad on a bus for a new TV show and the line said, “Your future has been adjusted.” ... I think this is how working with you has benefited me, by changing my now (and past!) feelings and beliefs I am adjusting my future. It is not just based on faith, but on the obvious shift that I feel, more hopeful and actually curious about how my life is morphing. The unique qualities you have shared with me are your enthusiasm, your compassion, amazing intuition that hears between the lines, and your infectious sense of humor. You have given me another example of a person living in their Vortex version of their life and that feels good. "Thank you from the bottom of my heart for the very powerful session yesterday. I deeply appreciate your warm and professional approach. The rapidity of the tapping process was so energizing that I felt the flow throughout my body for hours. This morning I took myself for a "test drive" (literally and figuratively) and.... I did not hyperventilate, panic or sense anxiety. It was almost weird not to have my ex-companion nagging at me. Thank you." Dr. Nina B. "Pro EFT is amazing!! I experienced my first session with you... I was overwhelmed with gratitude ... the results were amazing ... I am not done ... I have long waited for this approach ... Thank you, thank you!!!" Suzanne M.
Thank you, Lindsay! The session and the results were amazing. I was the facilitator in our staff meeting this morning and I could tell a difference. I was much more relaxed and had a lot of fun with it. It was great how other people had fun during the meeting too. I'm experiencing so many changes, but expecially with my normally trembling hands. It was strange (in a good way) because I went to sign a credit card statement last night and felt a sense of strength and confidence emanating from my hands. Such a difference! I have hope and confidence of healing is such a gift. Nicole Grayson. Ron also coaches other people using Pro EFT for golf. One of his students dropped his "average putts per round" from 37 to 29, while a lady golfer knocked an average of 5 to 6 strokes per round off of her score. Thank you for the session we had last week. The itching and rash are all gone now and what a relief it is. A specific point on my arm that I concentrated on while we were tapping disappeared instantaneously and even though I tried to restimulate it later, just to test myself, it was all gone!!! "All I can say is tapping really works! I had been in therapy for years over being sexually abused as a child. Nothing really worked until Pro EFT. After just a few minutes of tapping I felt a load lift off of my shoulders. Now, after clearing a lot of old baggage from the past, I feel a freedom and light-heartedness I've never before experienced. The best part is that I never have to relive old painful memories or have them stop me from getting what I want out of life. For the first time in my life I really love myself. I tap everyday as regularly as brushing me teeth! It truly is an amazing tool." Jeri Sufurous. "I use tapping to help me sleep at night, for stress relief, and to relax before difficult meetings. It was worth the money just for those issues. But I use it on other things as they come up. It's easy and doesn't take much time, and it really works!" Damian Tenant. Migraine headaches used to keep me incapacitated 25% of the time. The worst part was never knowing when they would grip me. After teaching me how to use tapping for allergies, Lindsay said I could use it for reducing my migraines too, but I was very skeptical. They were VERY intense. But one night when I didn't have any more medication I got a killer migraine and used tapping as a last resort. It not only worked quickly and completely, but I have not had a single migraine now in over 6 months! Shelly Tompkins. Important note: While tapping has produced remarkable clinical results, it has only been used in its current form since the early 80s, and thus considered by traditional medicine to be in the experimental stage. Therefore users of Meridian Tapping Techniques must take complete responsibility for their use of it. Although tapping has no side-effects it has been known to bring peace of mind, relaxation, a brighter outlook, better health, more energy and focus, added self-esteem, and to relieve stress, anxiety, chronic pain, and a multitude of other ailments and issues. Lindsay Kenny is not licensed health care professional. She is however, an EFT Master Practitioner, and Life Coach with considerable experiences with these techniques. Additionally Lindsay cares greatly about the welfare and health of her clients. Often, results are realized from tapping that have not been achieved through other methods or therapies. By using her services or those provided on this site, you are agreeing to take responsibility for your own health and well-being.